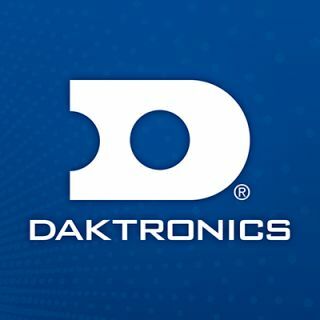 Daktronics has partnered with the University of Oklahoma to design, manufacture and install two new video displays at Gaylord Family-Oklahoma Memorial Stadium in Norman, Oklahoma. The main end zone display will be the second largest display in a college-specific football venue at 7,800 square feet. The display was recently installed and will be ready for the Sooners first home game tomorrow. The main end zone display will feature a 13HD pixel layout and measure approximately 47 feet high by 167 feet wide. It will provide image clarity and contrast with wide angle visibility to appeal to every seat in the stadium. It will also feature variable content zoning which allows the display to show one large image or to be separated into multiple zones to show any combination of live video, instant replays, scoring and statistic information, graphics and advertisements. A second display will be installed in the weight room. It will feature 4 millimeter line spacing and measure 10 feet high by 37 feet wide. With the same capabilities as the display in the end zone, this display can show versatile content to meet the needs of the university.